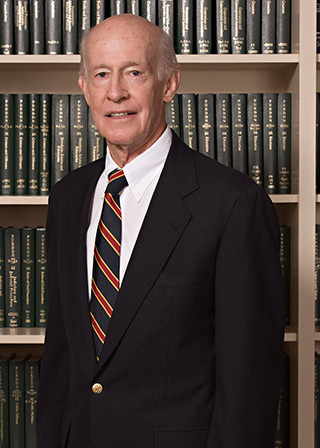 Richard E. Wells is the senior partner in the Law Firm of Wells, Hoffman, Holloway and Medvesky, LLP. Mr. Wells was born in Pottstown, PA on July 10, 1941 and has continuously resided in Pottstown since that time. His father, C. Edmund Wells, was also an attorney who was born in Pottstown, resided there his entire life, and practiced law in Pottstown from 1939 until he died in 1975. Mr. Wells received his liberal arts degree from Bucknell University and his law degree from Dickinson School of Law. After graduation, he served as a Judicial Law Clerk to the Honorable Richard W. Lowe, who was President Judge of the Montgomery County Court of Common Pleas. Mr. Wells has been practicing law continuously since 1967. He is involved in the general practice of law, with an emphasis in estate planning, estate administration, wills, probate, real estate law, corporate and business law, contract law, and personal injury. Service to the community has been a lifelong commitment of Mr. Wells. He has served on boards and as a volunteer for numerous civic and charitable organizations such as the United Way, Chamber of Commerce, Boy Scouts of America, American Cancer Society, and Pottstown Kiwanis Club. He has also made financial contributions to the above as well as other civic and charitable groups. Mr. Wells is very committed and dedicated to the concept of delivering the best possible service to his clients.